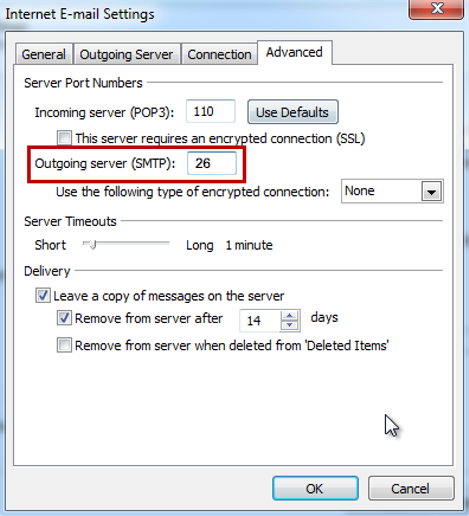 Note: As a courtesy to our customers, we provide online tutorials on how to configure various email software. 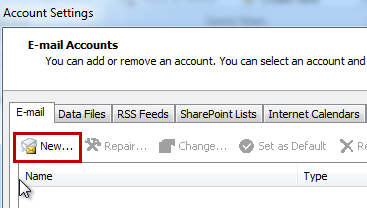 Our staff, however, are not able to provide support on how to use Microsoft Outlook. 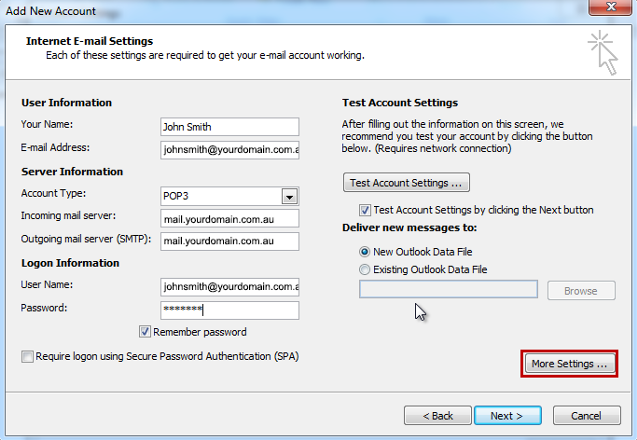 For further assistance in using Microsoft Outlook 2010, please see Microsoft's Outlook 2010 support pages. 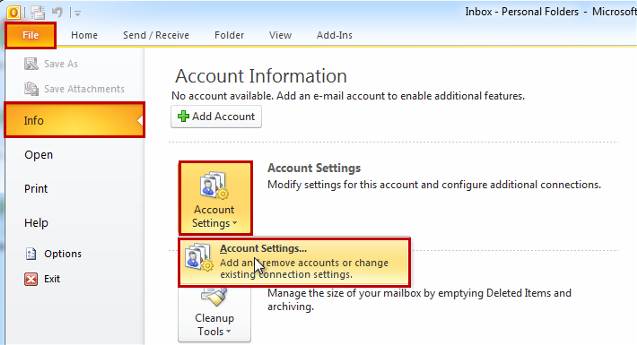 If making changes to an existing account, under the Email tab you will see a list of email accounts that exist within Outlook 2010, double click on the email account you wish to make changes to, then skip to step 9. 8. Select the Internet Email radio option and click [Next]. 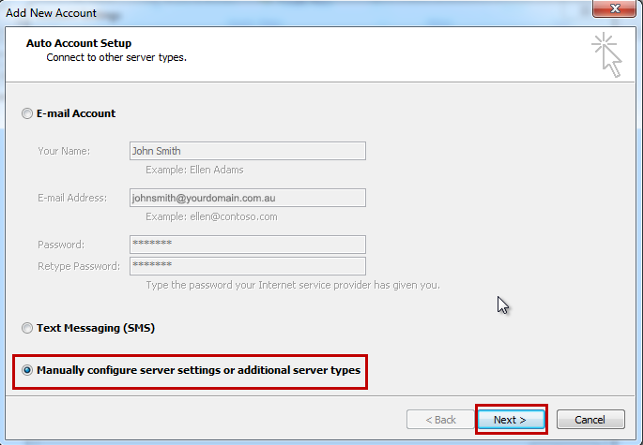 This completes the setup of your email account in Outlook 2010.